Trending at $58.02Trending price is based on prices over last 90 days. 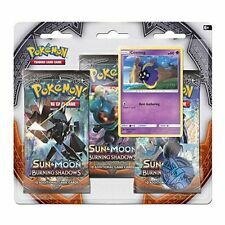 BIG Pokemon Lot - Booster Packs, Theme Decks & Trainer Kit - Sealed & Brand New! LOWEST PRICE -FLASH SALE- LIMITED QUANTITY AVAILABLE!! 1999 Pokemon Base Set Booster Pack Factory Sealed Mint Unweighed!! New ListingPokemon Unopened Fossil Booster Pack LOT x10 Mint Condition Factory Sealed !!! 21 product ratings - Pokemon Unopened Fossil Booster Pack LOT x10 Mint Condition Factory Sealed !! !